For Spring Break this year, we went to Walt Disney World for our second time. I wasn’t sure if there would be enough new and exciting things to make the trip worth it a second time, but I was so wrong. Not only were there so many rides that we didn’t try the first time, there were tons of restaurants that we hadn’t tried last time either. 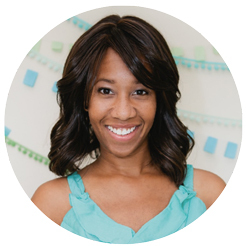 At home, our kids tend to get in a food rut. But, when we travel, my husband and I encourage the kids to try something new. New place, new palate, right? Instead of allowing the girls to order their default chicken tenders or mac ‘n’ cheese meal, we challenged them to try something beyond the basics. We were delighted to find that each restaurant we tried had a variety of unconventional kids’ meal options along with the classics. Using the Disney Nutrition Guidelines for Complete Meals, we were able to quickly see which Walt Disney World kids’ meals were the healthiest choice at each restaurant. Surprisingly, sometimes, the kids chose those options. On this trip, I can safely say we discovered where to go for the best kids’ meals at Walt Disney World. 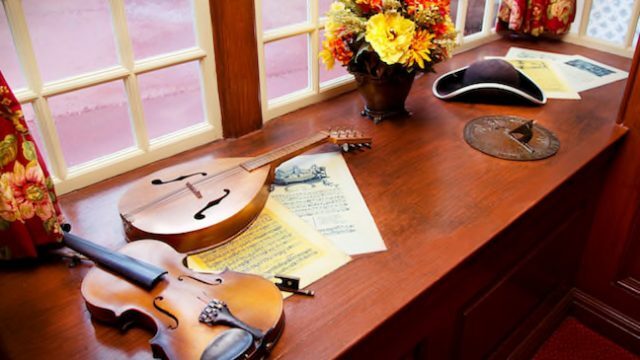 There’s so much to see and do at this themed restaurant! Dinosaurs and lush foliage are everywhere. 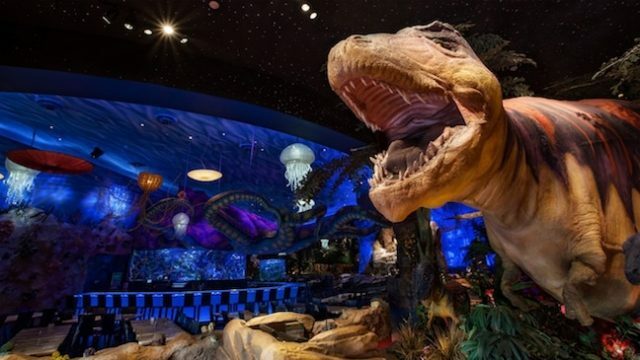 Some of the reptiles move and make thrilling sounds, while an undersea bar and looming wooly mammoth keep the kids fascinated while they wait for dinner. Shrimpkens is the surf ‘n turf plate kids dream of: Popcorn shrimp and chicken come with a side item of your kid’s choice (my daughter chose the Raptor Rice), and a drink. We also added on a Chocolate Tarpit dessert for the girls to share. Next time we visit Walt Disney World, we can’t wait to visit Toy Story Land. and for them to experience this fun new restaurant. One kids’ meal item that I think my kids will love is the kid-sized Grilled Three Cheese, which features a few culinary twists on a classic grilled cheese. Provolone, cheddar, and a cheddar-and-chive cream cheese spread are layered on garlic butter-coated French bread. That’s got to be the fanciest grilled cheese ever. 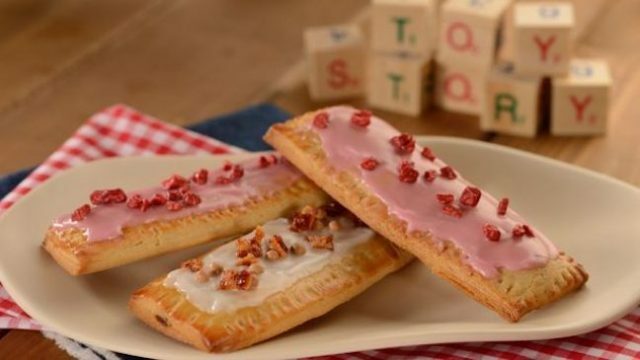 And for dessert, I know my daughters will love the raspberry marmalade-stuffed, strawberry-fondant-topped Raspberry Lunch Box Tart. My younger daughter loved the Liberty Bell replica outside of this colonial-style inn. Her class has been studying symbols of America, and she was so excited to tell her teacher. And the New England pot roast, mashed potatoes, and veggies was the perfect hearty kids’ meal for both my daughters. Dine in one of three different areas: a colonial mess hall, the Jungle Room, or the S.E.A. (Society of Explorers and Adventurers) Room. This restaurant’s African, Asian, and Latin cuisine might sound too exotic for young palates, but the Sizzling Savanna Grilled Flank Steak with a side of fingerling potatoes, steamed broccoli, and fresh fruit is a kid-friendly delight. Take your tyke’s taste buds on a trip to the UK. Order the Bangers and Mash and a perfectly pint-sized English trifle for dessert. 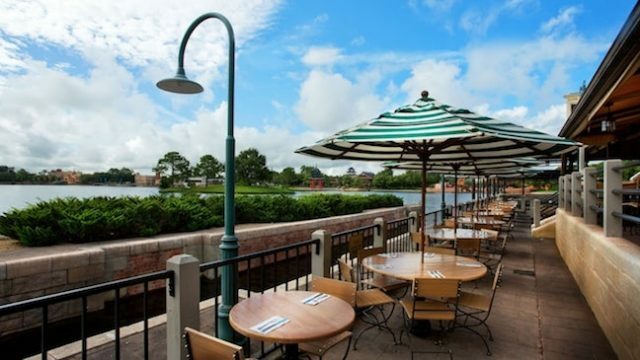 Dine inside or out by the water while you soak up a taste of life across the pond. 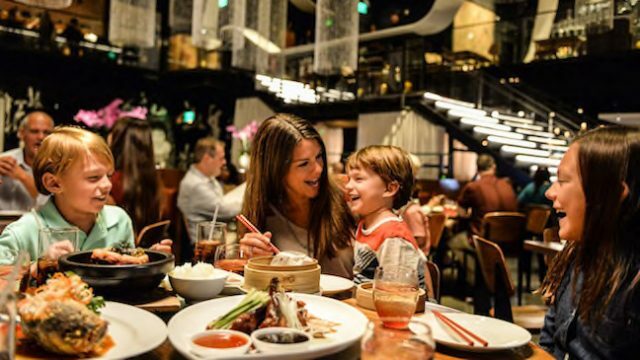 This restaurant’s modern Pan-Asian aesthetic features Iron Chef America’s Chef Morimoto’s authentic Asian cuisine, which is prepared in exhibition kitchens. So, you and the kids can watch the behind-the-scenes cooking commotion while you eat. The Karaage drumettes kids’ meal is irresistible. These drumsticks get the kid seal-of-approval, and the included fondue churros with Nutella are a must-try. If non-meat options are more your kid’s style, visit the magical world of Pandora’s Valley of Mo’ara. Check out Na’vi art and culture while the kids dine on the Chili-Spiced Crispy Fried Tofu Bowl. The delicious meal includes crunchy veggie slaw and a choice of sweet potato or whole-grain-and-rice base. It’s so nutritious that it gets the Disney check of approval. While you enjoy calamari, lobster, and octopus, your kiddos can chow down on sautéed shrimp, cheddar grits, succotash, and Andouille sausage at this themed restaurant. 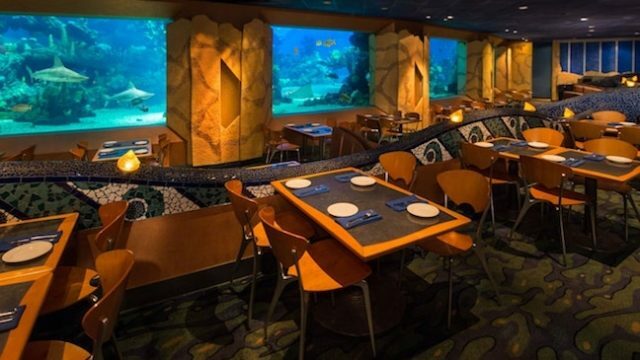 The living coral reef and its 4,000 sea inhabitants are visible from every table in the Seas with Nemo & Friends Panoramic windows. So, you know the Shrimp and Grits kids’ meal won’t be the only thing that makes the meal amazing. A sweet dessert is also included to end this under-the-sea culinary adventure. We had a great time at Disney World, and I know we’ll go back again. There are still so many more restaurants and rides to try, and as our girls get older, they’re more adventurous with both.